A Hillsborough County man was arrested after deputies say he harmed his live-in girlfriend's four-year-old daughter. 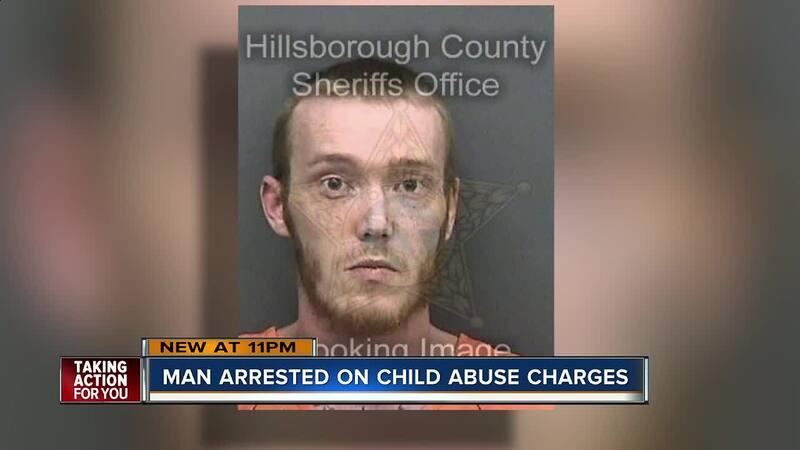 HILLSBOROUGH COUNTY, Fla. — A Hillsborough County man was arrested after deputies say he harmed his live-in girlfriend's four-year-old daughter. That woman, Amber Jones, was also later arrested and charged with felony child neglect with great bodily harm and felony failure to report child abuse. Allen Michael Stanford was charged with three counts of child abuse with great bodily harm and one count of child negelct with great bodily harm. The couple brought the child to the Brandon Regional Hospital Emergency for treatment of 'significant and visible injuries' to the girl's entire body. They claimed the wounds were self-inflicted. An investigation determined the injuries were consistent with a pattern of physical abuse over time. The child's injuries are non-life threatening. She was removed from the home and remains in protective custody. Stanford is not the father but lives together with his girlfriend and the four-year-old.